A children’s ministry uniquely designed with your child in mind! Every Sunday, all children (babies through 5th grade) experience safe, age-appropriate environments where the Bible is taught in a creative and relevant way. We would love to see you and your family visit Real Kidz at one of our locations this weekend. Join the fun and experience a world where kids meet Jesus on their level! What should you and your child expect when you visit Real Kidz? If it’s your first time, look for the area designated for families. We will meet your family, check your child into our database system, and one of our volunteers will lead your child to their age-appropriate room. We will ask for the following information: family member’s names, children’s names and birthdates, address, phone number, and any special instructions (allergies, special needs) for your child. Mom’s Viewing Room: A mom’s viewing room is available at every campus for moms and babies 12 weeks old and under. This is a “Moms Only” room for women with newborn babies to view the service in a more private and quiet environment. Kidz Care: Through the ministry of Kidz Care, we are able to engage children with special needs. Trained volunteers lovingly serve these children and do whatever it takes to help them learn about Jesus on their level. Every child matters to us. Creative and age appropriate Bible Teaching: We value God’s Word and believe it is an amazing book! Our activities and discussions are designed to help bring the Bible to life for all children. We want all children to love God’s word and understand the value of applying it to their lives. Every area of Real Kidz and the lesson materials taught are created and taught in a way your child will understand. Relationships: We want children to form healthy relationships and we use small group settings to foster an environment where children can relate to their leader and others in the group. As families commit to attending the same service each week, children are placed in a group of familiar faces where relationships can grow. Safety: We take extraordinary effort to make sure your child is safe while attending Real Kidz. 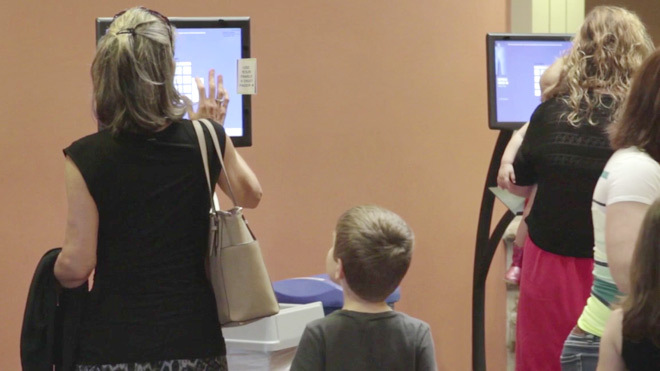 Every child’s security tag is matched to a parent security tag with a unique code for the service attended, every volunteer is screened with an interview and federal background check, and every hallway is monitored by security personnel. Fun! : Kids can’t wait to have fun! When children have fun at church, they can’t wait to come back. We value creating fun ways for children to learn about Jesus, including games, activities, singing, and live acting.